Submit comments to the Salt Lake City Council (they need to be submitted by 6-13-2017 by noon to be considered and read. Salt Lake City has committed to use 100% renewable energy by 2032, and to reduce carbon emissions by 80% by 2040 according the goals of the Climate Resolution passed in July of 2016. One of the goals is for more Bike and Walking (active transportation). The Climate Positive document does talk about reducing emissions from transportation, but it doesn't go far enough. According to the Union of Concerned Scientists, transportation accounts for 30% of US carbon emissions. If Salt Lake City is going to meet goals of reducing this contribution by 80% by 2040, we need to see a tripling of effort in getting more people biking and walking. Salt Lake City is not doing enough to make this happen currently. 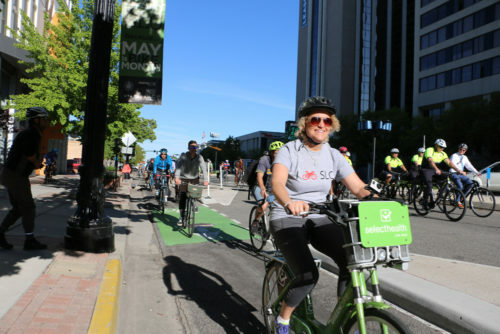 Recently, Mayor Biskupski stated that she did not want to see anymore protected bike lanes such as those on 300 S. Protected bike lanes, while controversial for some, are a way to get more people on bikes. Bike use on 300 S increased by 30% overall when the lane opened in 2015. Sales increased too. While the Mayor has been supportive of cycling in general, her thinking on this is not in concert with the city's goals on reducing carbon emissions. This needs to change. Salt Lake City needs to invest in more progressive bicycling and walking infrastructure and programs. And Salt Lake City's overall approach to transportation needs to change. This is a subject for a larger conversation that would include items such as reducing parking, increased transit, decreasing speed limits, decreased costs of transit, but, the city can spend much more on biking and walking infrastructure. It is inexpensive compared to overall transportation spending, and the return on investment is high and multiplicative. The following are the still relevant comments from our 2016 comments. 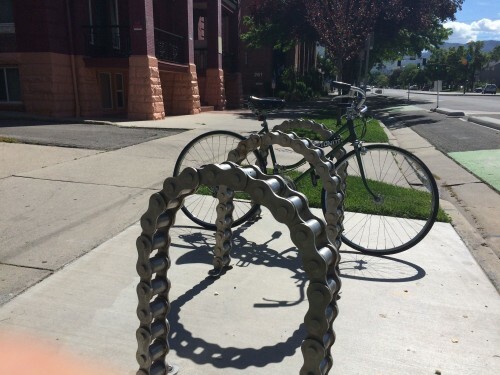 Salt Lake City is the leader in bicycle programs and infrastructure for the State of Utah. But, in order to continue to lead, it needs a drastic increase in funding for cycling as well as a new Bicycle Program Office. Salt Lake City should aim to complete the current version of the recently passed Pedestrian and Bicycle Master Plan in 5 years, not 20 as stated in the plan. And, an Economic Development Plan For Cycling and the Outdoor Industry is needed (see the attached document). 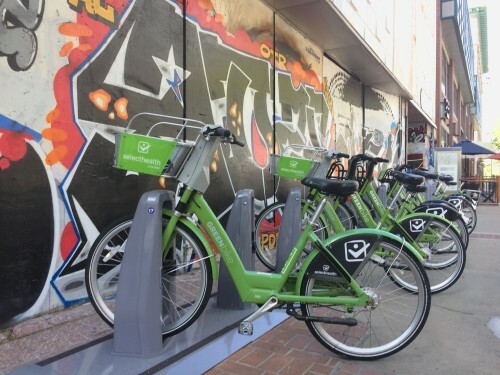 As the first Silver level Bicycle Friendly Community in Utah, SLC has built a substantial bicycle lane network, has installed one of the first protected intersections in the country, has a successful GreenBike Bike Share program, and has seen ridership increase dramatically over the years. And, with the recently passed Pedestrian and Bicycle Master Plan great things lie ahead if the plan is completed. 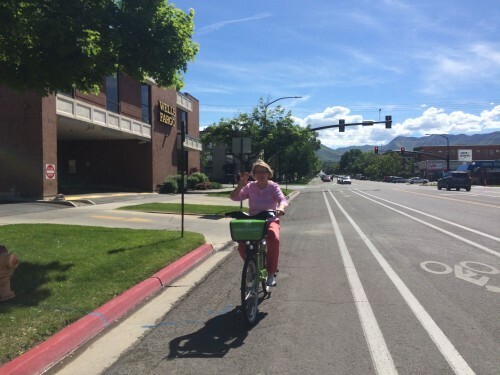 Bicycling and walking are great for the health, economy, and air quality of Salt Lake City. Each ride taken by its citizens increases their happiness and healthiness. It puts more money in their pocketbook since less money must be expended on automobile costs. This, in turn, results in more money being spent in the local economy since less money is spent on fuel. Additionally, cycling reduces air pollution which is a huge problem in Salt Lake City. And, each mile on a bike results in approximately 1 pound of CO2 emissions saved and does not contribute to PM2.5 or NOx. Bicycle and pedestrian infrastructure is safer for people. It creates a more friendly, accessible city. It leads to better health outcomes. A better economy. And better air. Salt Lake City is poised to rise to the next level of bicycling. To get there, several steps are needed. The Pedestrian and Bicycle Master Plan needs to be completed in 5 years. 20 years is too long to wait for safe cycling. Funding for bicycle and pedestrian programs, and the completion of the plan needs to be doubled or tripled immediately. A Bicycle Program Office within the Transportation Division needs to be created. This office would serve to coordinate Bicycle and Pedestrian Programs and Policy throughout the city, not just within the Transportation Division. This would include many of the programs within the Pedestrian and Bicycle Master Plan, as well working with, for example, Parks and Rec for Bike Parks and mountain bike trails, the Police Department for enforcement, safety, and stolen bikes, and Economic Development for enriching our bicycle economy. Within this new Bicycle and Pedestrian Program Office, a program director would be needed. The current Bicycle and Pedestrian Coordinator position needs to be elevated to this new position. Additional staff positions would be needed to implement the many programs and infrastructure planning in the Bicycle and Pedestrian Master Plan. An Economic Development Plan for Bicycling and the Outdoor Industry needs to be created. (Available on request) Focusing on these industries would result in economic development, growth, and an increase in healthy lifestyles in the city. Salt Lake City needs programs to improve air quality, economic development and health. As such, Salt Lake City needs better cycling and walking infrastructure and programs – investing in them is an investment in our community. Investing in bicycling and walking infrastructure and programs leads to more people riding their bikes, more walking and thus better health, better air, and a better economy. Editor's Note: The preceding was sent to Salt Lake City Mayor Jackie Biskupski and the Salt Lake City Council as a comment on the upcoming budget.